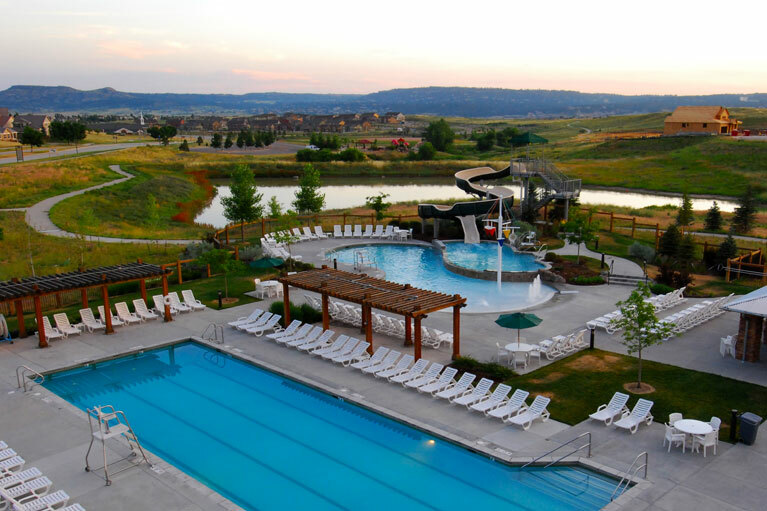 The Grange, a family community center is in the heart of The Meadows Community, located in Castle Rock, CO. The community center has an aquatics playground that features a zero depth entry pool attached to a raised slide pool that was built 38 inches above grade. If splashing around isn’t your thing, we also built a calmly cohesive lap pool that sits adjacent from the aquatic playground.